A exceptional event, exceptional shirt. This is why, for several years, Webmenshirts.com has been offering models of ceremonial shirts specially designed for weddings and other occasions dressed in its collections. Our ceremonial shirts are, in a systematic way, reinterpretations of the classics. A shirt with a broken collar, a shirt with a chest, wrist shirts with a musketeer, but also some more original models like the shirt with a collar, for those who would like to wear an original ceremonial shirt. 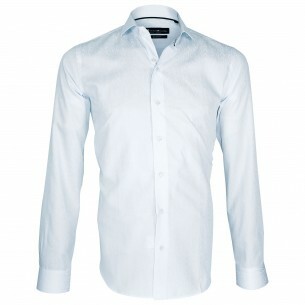 You will find at Webmenshirts a wide range of dress shirts specifically designed for exceptional events such as weddings. And since there are many types of weddings, more or less dressed and more or less formal, we offer a large selection of dress shirts: fashion or more traditional. It is up to you to make your choice among the models offered in our collection, taking into account the type of costume and tie you will wear. 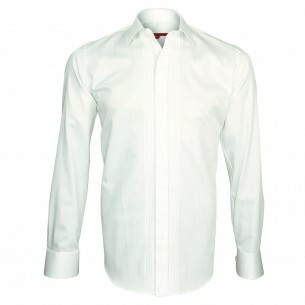 To each one his style and as every future groom is different it is important to find a shirt that resembles you and corresponds to his personality, that is why chemiseweb proposes wedding shirts of different styles: traditional ceremony shirts for the more conventional ones, Classic wedding shirts for traditionalists but also fashion wedding shirts for the most modern, shirts that are available in curved section and in different colors.